Carl Dau has been designing and creating his jewelry collection together with his team of craftsmen for the past 25 years based out of Berlin, Germany. He was one of the first desingers to use stainless steel in his work. The extensive collection of minimal, clean designs vary in steel, gold, titanium, silver and platinium. 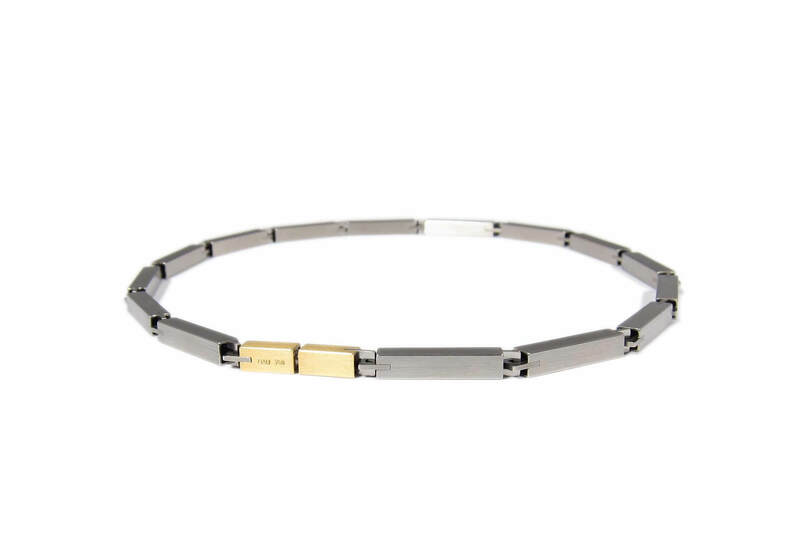 Stainless steel necklace with a clasp of 750/1000 yellow gold.